Home > WWI model kit sales! 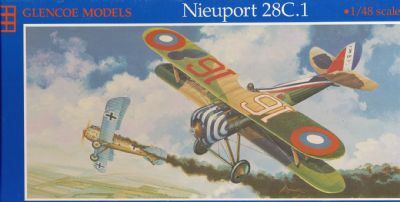 Glencoe's re-pop of the Aurora Nieuport 28 which was always one ot their best and even better now that the original embossed markings have been removed. 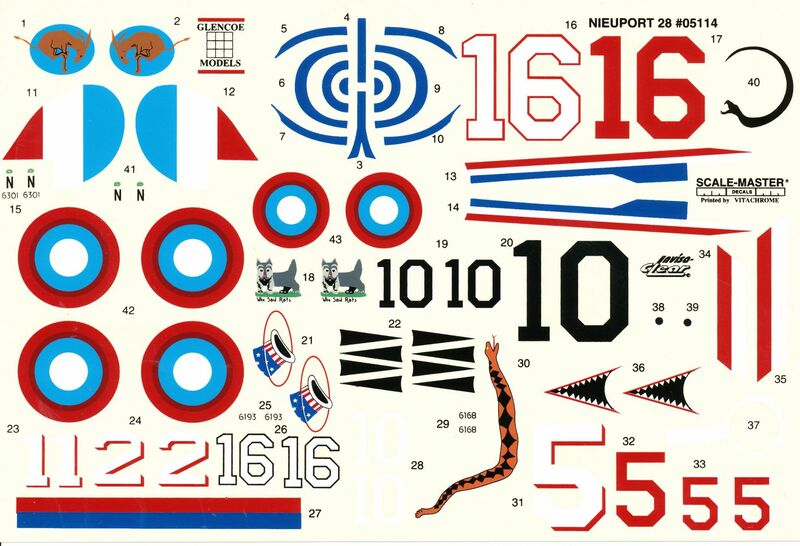 Superb decal sheet and colour profiles.Moulded in cream and steel grey plastic, slight wear to box and two parts missing-pilot and one of the four centre-section struts- hence the marked -down price.